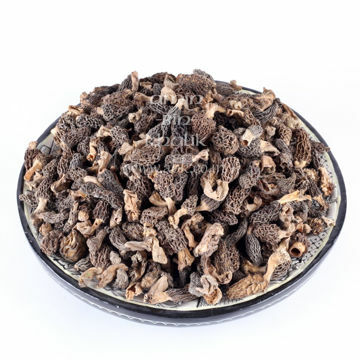 Buy MORELS Online - Natural, Organic, Spring Mushrooms from Kashmir|ABK® Buy Worlds Best Saffron, Walnuts, Acacia Honey, Morels & more! 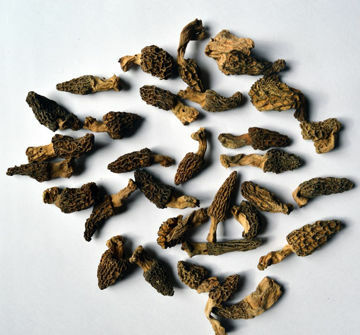 The Morels comprising the genus Morchella, are commonly referred to as 'Guchhi' in the Indian market. Morels are the costliest and most sought-after edible fungus in the World. The Morels are highly appreciated for their culinary aspects and gastronomical delights and excellent flavor. 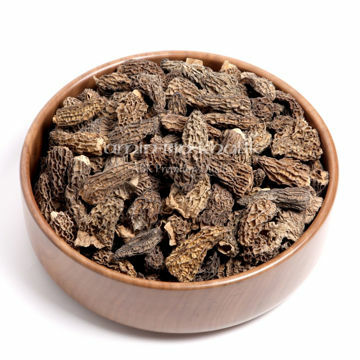 Species of Morels in India occur primarily in North Western Himalayas, especially the Kashmir Valley and they are an excellently edible and delicious mushroom. Some of the largest species of Morels are found in the higher reach in Kashmir and are famous for their Quality and Size World over. 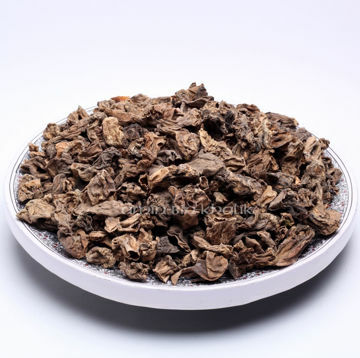 Morels are grown on soil rich in organic matter, in loamy soil, in pure and mixed coniferous forests, broad-leaved forests, in open areas and grasslands, in apple orchards or under various types of shrubs in the open under direct or indirect shade. However, the cultivation of Morels still eludes the scientists all around the world. Morels have a typical growth pattern and according to mycologists, their growth pattern involves a quick initial growth period followed by a slower maturing and aging pattern. The initial stage lasts for three to four days where is the Morel is barely a centimeter or so and as such it is rarely seen. It is in the second stage that the Morel achieves its full height within four to fourteen days and remains standing for up to three weeks. With a few exceptions it seems that whatever height a morel reaches, it does it within a week of popping out. Unfortunately, the morels initial growth cant be tested and you have to know exactly where is morel is going to emerge and start from there - Which until now remains to be a mystery and an unsolved question for mycologists all around the world. Morels are known to possess a high antioxidant property and so they are considered as a therapeutic food - useful in preventing the diseases like hypertension, hyperglycemia, and cancer. When you take Morels - Food from the wild - you are taking nutrition and vital energy directly from the source. This makes a lot of sense if you think! Premium Quality Morels without tail (Caps only). Black and are of large size.